Earlier this year I got the opportunity to try and review some of the most gorgeous jewelry pieces I've seen in my life - Honeystore ear cuffs and a necklace. While the cross-shaped necklace is very nice and stylish, it's the ear cuffs that totally blew my mind to pieces - they are stunning! 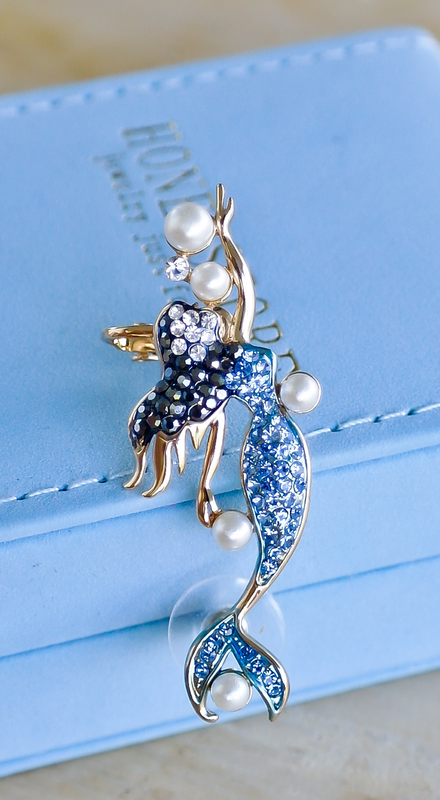 As part of the Mermaid & Myths event, I am giving away the gorgeous mermaid earcuff! Beautifully designed, absolutely fabulous-looking Mermaid-shaped ear cuff. As far as statement jewelry goes, this is one of the most gorgeous pieces I've seen. It's paved with sparkly Czech diamonds in blue, black and white, and embellished with white pearls. The shape of it is wonderful, too, and it's not the heaviest ear cuff I've worn. It's actually light enough to wear for half a day, maybe even longer (which is considerably longer than most other ear cuffs I've had). It's really well-made but delicate looking at the same time. Seems pretty sturdy, too. All the pieces are attached together in a way there is no risk of the diamonds or the pearls falling off. It arrives packaged nicely in a blue jewelry box that will make a lovely gift wrapping. It's stylish and perfect for fans of mythology and mermaids. 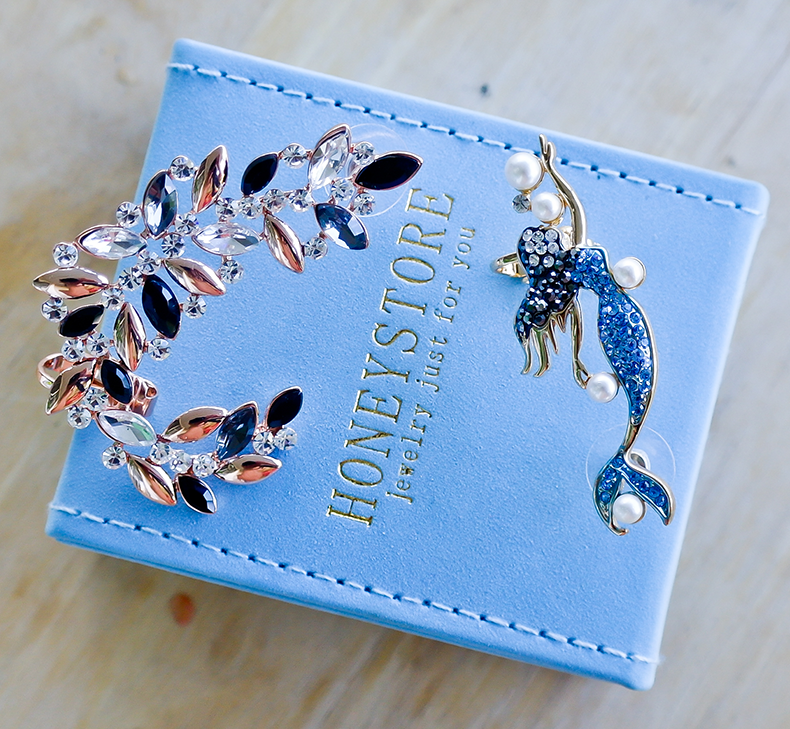 You can win the Mermaid Earcuff from Honeystore!